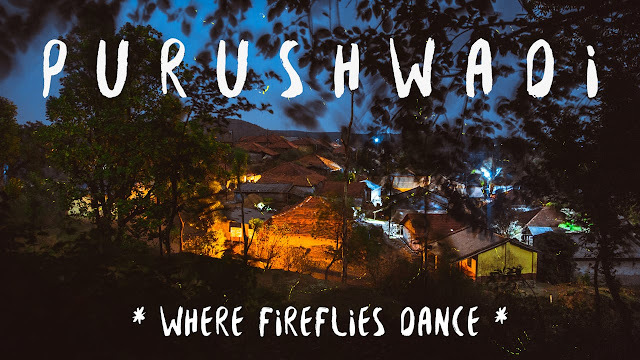 In a previous post on packing essentials for a Monsoon Getaway, I had mentioned that I will be heading to Purushwadi for the annual Fireflies festival, organized by Grassroutes . I did make it to the festival, despite the heavy rains. And boy, it was an amazing experience! 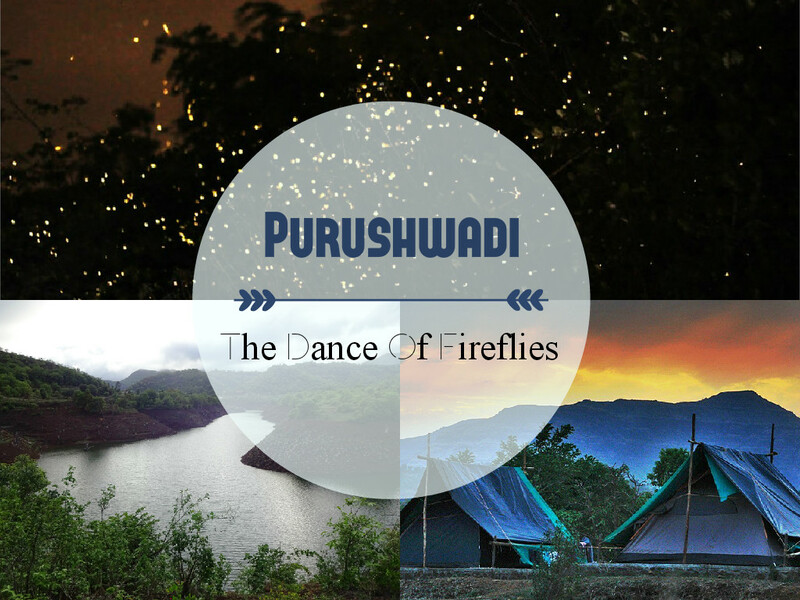 It’s about 250 Kms from Mumbai, and the scenic drive itself is worth the visit. Miles and miles of lush greens, driving through the hills, reaching this village Ahmednagar district is a lifetime memory. On reaching the tribal village, we were welcomed by the villagers with a tilak, a Nehru cap, and some flowers. Though it was just a day trip, it was packed with a lot of activities, supervised by the Grassroutes Volunteers. We were shown into our accommodation, a canvas tent on one of the campsites, and were taken to a local villager’s home for our lunch. The meal was cooked fresh on a chulha, and we greedily devoured the chapattis, rice, amti dal, and bhaji. We were assigned this particular home for all our meals over the weekend. Grassroutes also assigns a village guide per group, so you can go for long, leisurely strolls across the nearby forest and fields. Our guide chatted enthusiastically, as we picked fresh Jamuns and mangoes, and ate without any pretenses of elegance. It was such a trip back to childhood! I had been suffering from an allergic cough for the past few weeks, which instantly took a break with the fresh mountain air. A couple of hours walking through the village had us tired and hungry. 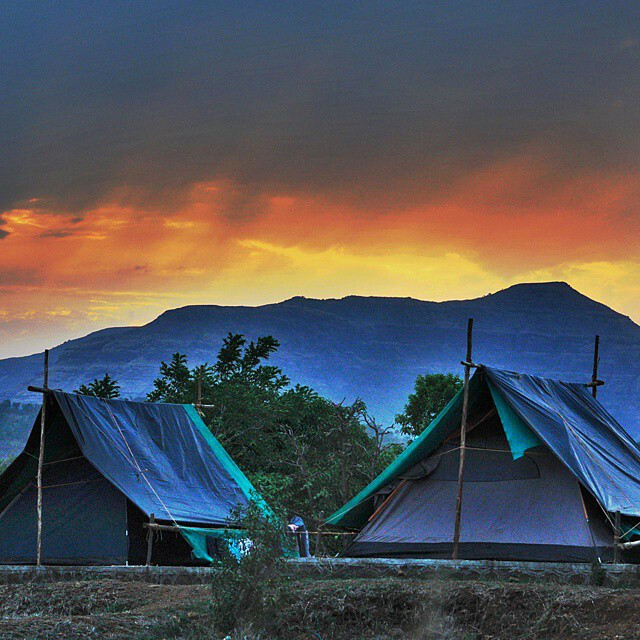 And what a treat awaited us back at the campsite – unlimited supply of organic, juicy mangoes. After a while, my friend Beena, and I lost count of how many we had eaten. A short nap later, we were ready for a hike, guided by the volunteers. Due to my knee problem, I chose to go for a short hike to the local dam instead, and was thoughtfully assigned another guide, instantly. For dinner, we were back to our village family. This time, it was Puranpoli, with more juicy mangoes, which were pulped straight into our Thali! We ate hurriedly, because the main purpose of the visit was to see the millions of fireflies that come out during this festival. Post dinner, we walked for what seemed to be almost an eternity to this quiet, peaceful spot near the village. Our route was filled with fireflies, but our guide kept encouraging us to walk further for the magical sight of a forest full of them. This is the kind of stuff that makes you believe in magic. It’s an everlasting memory, one you want to keep going back to. Hearts beating with anticipation and excitement, we reached the promised spot. And watched. Silent. In awe. Humbled. Grateful. Teary eyed. They were everywhere. Millions of them. As promised. There was no one else around, and I could hear my heart beat. Just us, and the tiny fireflies, flying through the trees. Nature’s spectacular miracles. And we were surrounded by them. It hurt to go back. Beena and I were so overwhelmed that we sat on the ground taking in something so unreal in its beauty and magic. That night, we slept like we must have slept as babies, when the weight of the world did not overpower our senses. Next day, Beena and I went back to the dam with two new friends. There were so many experiences to talk about. So much excitement and exhilaration to share! Post lunch, we drove back to Mumbai, taking in one last time the magnificent scenery on the way. Rains chose to be a bit unkind this time, so we drove slowly. Besides, we were in no hurry to end this journey. The Fireflies Festival is over now. And I can’t really wait for the next year. But you can still visit Puruswadi and experience the exceptional and generous hospitality of the villagers. A small note on the local guides. These are village boys, and no ordinary individuals. One was studying Dental Surgery. Another one was in college for Bachelors In Agriculture. They are knowledgeable, patient and extremely proud of their village. It was an honour interacting with them, and learning from them. Even a small trip can make such a difference to your life’s memories. And that’s why, friends, we must travel. Wow :) Magical indeed! The firefly festival sounds marvelous. I hope I can visit next year.